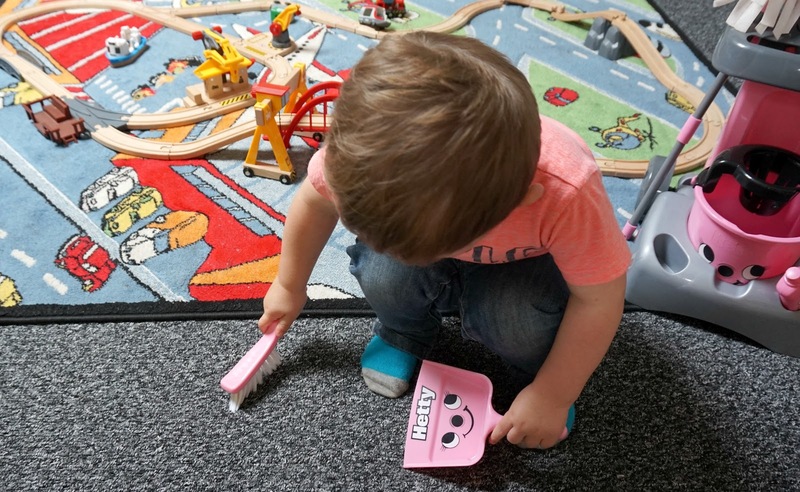 I accidentally asked for the Hetty, not that it matters and I always wanted a Hetty hoover which is why I think I said Hetty without even thinking of the boys haha, but as soon as it came Oscar said why have you got a pink toy for us? I said boys can have pink things but Oscar hates anything pink or floral, my bad. Lawson however doesn't give a hoot what colour a toy is and he loves helping me clean around the house! If you have boys who don't like pink toys or a girl who isn't that into pink they also do a red and black version also for Henry. 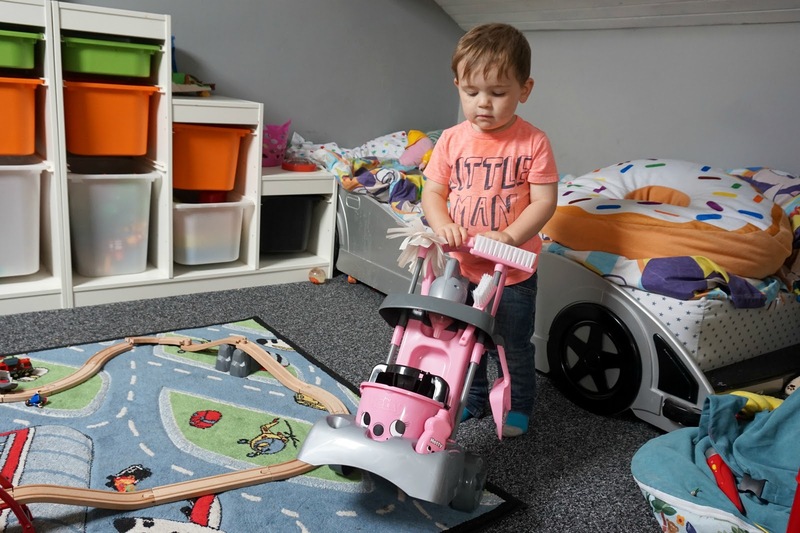 When I'm sweeping up now after they have eaten Lawson will run in after me with his trolley and gets his little brush and sweeps up to, he mops the wooden floor and hoovers at the same time as me too, it's so sweet and a great way of getting your kids involved with cleaning. We all know the kids pick up our bad habits right so why not let them pick up our good ones too. Lawson has always enjoyed helping mummy in the house, Oscar not so much but Oscar has enjoyed playing different roles with this Trolley. 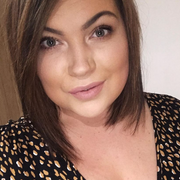 "Today I am mummy and going to clean the house, I'm always tidying up after my kids." You said it! Haha. 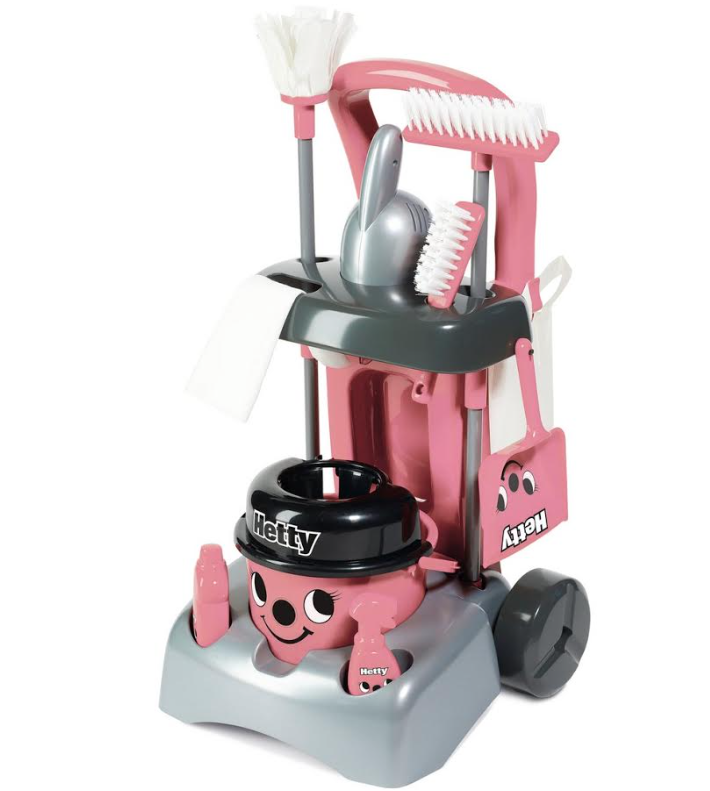 I actually want an adult version of this toy set, it is so cute and I love pink! 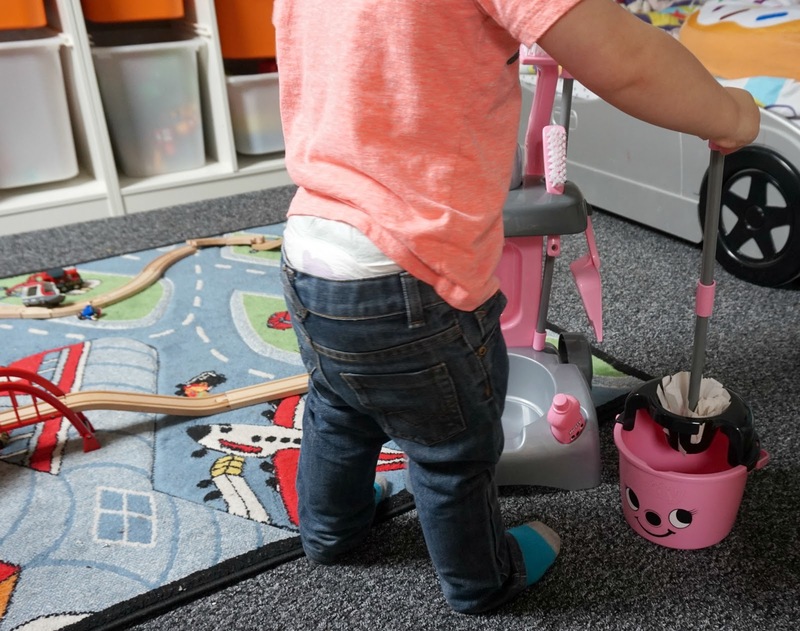 It's got everything you need to 'clean' your house from top to bottom. 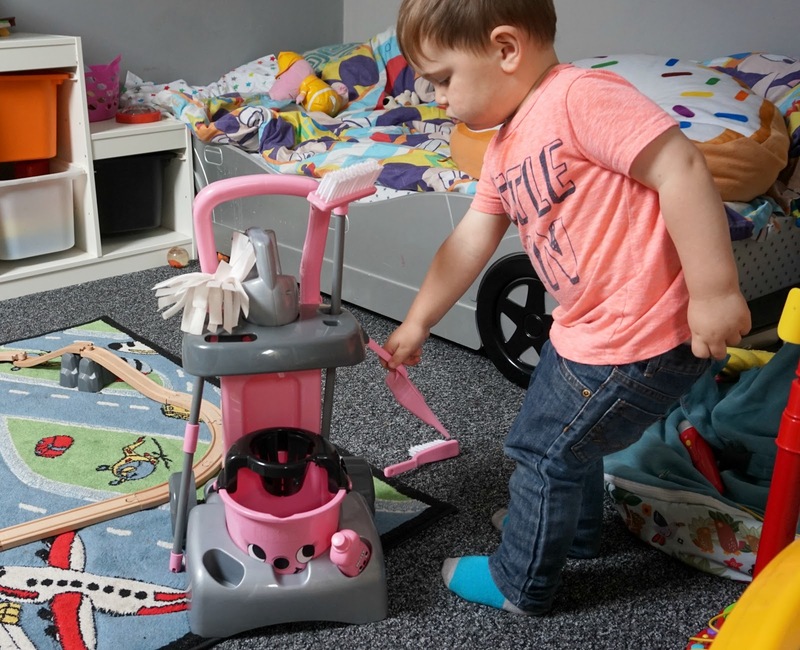 This toy is great for role play, bright colours for visual pleasure, the moving trolley helps with mobility and a sense of independence. The play encourages development for hand-eye-coordination. It has multiple parts to to develop problem solving and motor skills. I keep the little trolley down the side of the sofa now so its easy to access and Lawson honestly plays with this daily, when my family come round they always mention how sweet he looks pretending to clean the house, the little bag that came with it we used that the first day I opened it all up, he picked up his and Oscar's banana peels then put it straight in the bin. He's a natural and going to make an amazing Husband one day. People who travel often develop a strong view on these type of travel bag that best suit their needs. Having a nice and spacious travel bag means comfort to carry all the belongings. There was a time when everyone used to carry only one type of travel bag i.e. a suitcase but now, one can choose different styles of travel cases as per their requirement.